A lot of my brides have special requests and I love being able to have some fun and make magic happen. 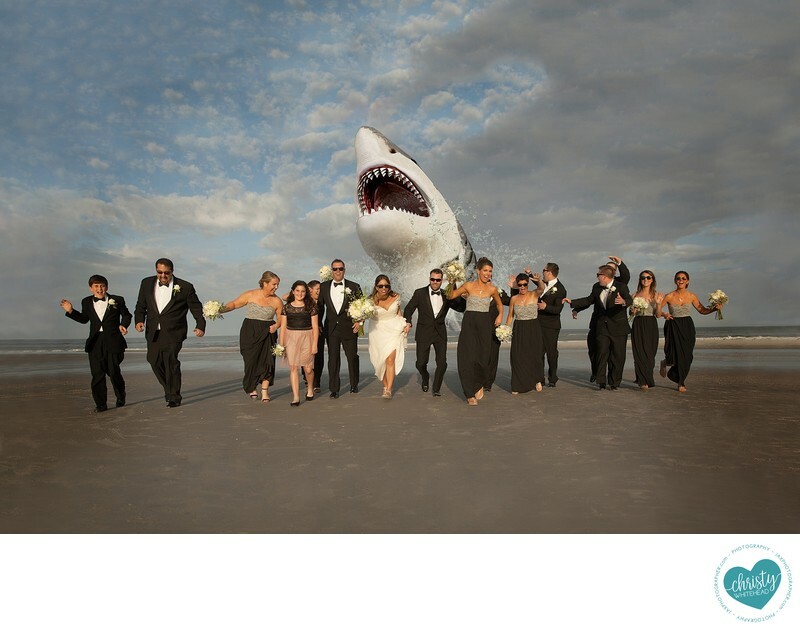 This bride wanted a shark chasing after her bridal party. But she didn't want me to tell her groom what they were doing, lol.